Does anyone know what type of bug this is? Is it alive? It looks like it has been mumified, which would actually be a good thing. Where are you located & what type of plant is this on? 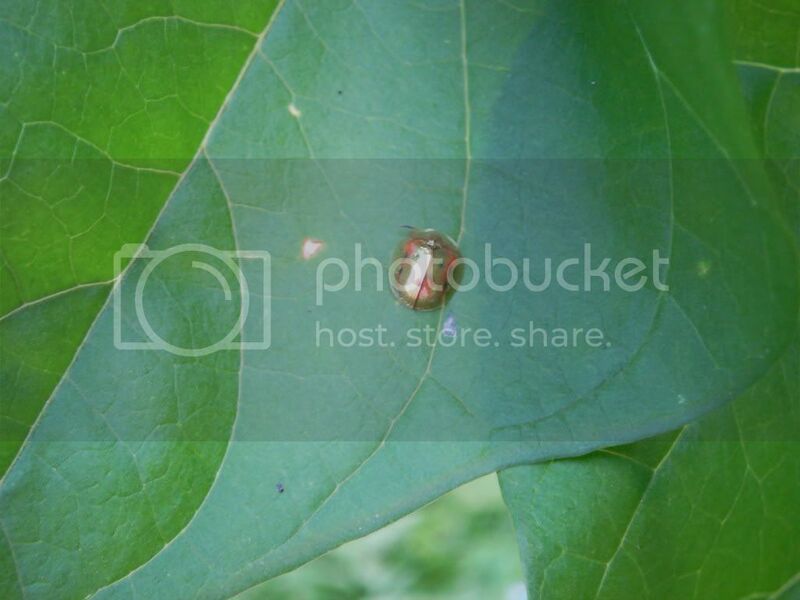 This looks like it's a Clavate Tortoise beetle because it looks a little like a turtle. I had them in my garden several years ago and just picked them off the leaves and dropped them in a bucket of soapy water. I never saw them after that year, so I guess they're pretty easy to get rid of. 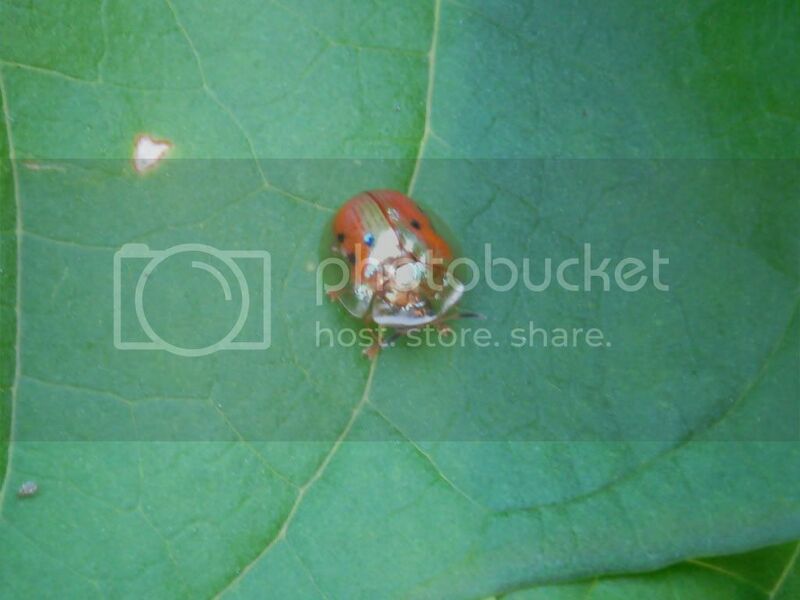 Agree it's a tortoise beetle. The one you showed has clear edges and dark black/brownish center. They are pests but not a serious one unless you have an outbreak. I just pick them off like @mahniah. There is a related, slightly smaller tortoise beetle with liquid gold shell -- beautiful. I posted a photo of it once or twice before. Even though they are also plant eating pests, I usually leave them alone. I just can't bring myself to destroy them. applestar wrote: :clap: I FOUND THEM! A Drop of Gold on a Leaf? That's beautiful! Reminds me of one of those Egyptian Scarab beetle jewels/decorations.